* Babies born this year are the best babies. Fact. But South Carolina’s seeming rejection of Mr. Romney goes beyond cultural or demographic idiosyncrasies. Mr. Rtaxomney was resoundingly defeated by Mr. Gingrich, losing badly among his worst demographic groups and barely beating Mr. Gingrich among his best ones. Had you extrapolated the exit poll cross-tabulations from South Carolina to the other 49 states, Mr. Romney might have lost 47 of them. Moreover, the decline of Mr. Romney was almost as significant in national polls as it was in South Carolina. Now poor Romney has to release his tax returns. Onward to Florida! * Great moments in Fox News: Newt Gingrich’s repeated betrayals of the people closest to him suggest he’ll make a trustworthy president. * 11 Lesser-Known 2012 Presidential Candidates. 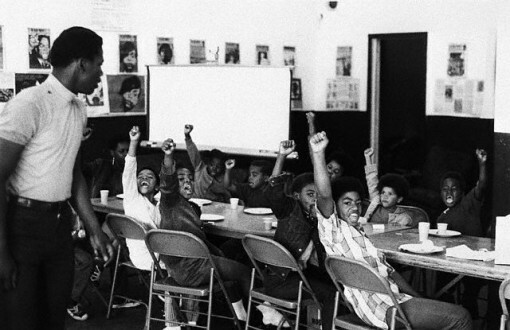 * “One of the gravest threats the FBI saw in the Black Panther movement was their Free Children’s Breakfast Program.” Via zunguzungu. * When Barack Obama joined Silicon Valley’s top luminaries for dinner in California last February, each guest was asked to come with a question for the president. But as Steven P. Jobs of Apple spoke,President Obama interrupted with an inquiry of his own: what would it take to make iPhones in the United States? * Steve Shaviro reviews Carl Freedman’s The Age of Nixon. I actually bought this one just on the strength of the author and title. * Another absolute must-have: Alison Bechdel’s followup to Fun Home, Are You My Mother? * David Graeber: The Political Metaphysics of Stupidity. * Michael Greenberg: What Future for Occupy Wall Street? Also on the OWS tip: diluting the 99% brand. 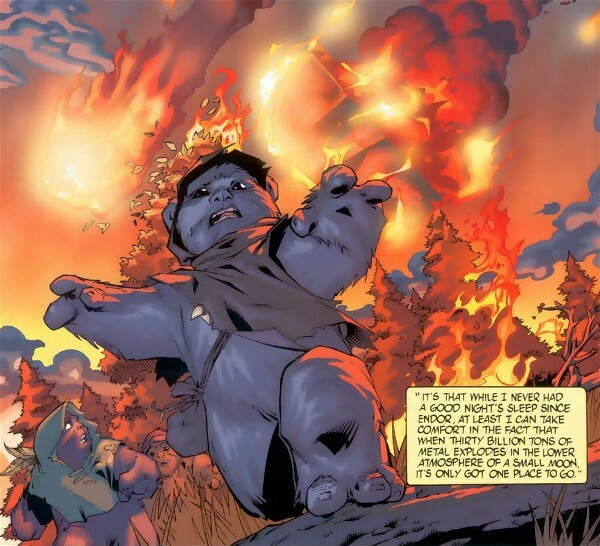 * They’re still trying to make a movie out of Jeff Smith’s Bone. * And the Chronicle of Higher Education has an obituary for Dean Jo Rae Wright. I only knew her over email, but I was very sad to hear this. She was a very generous supporter of graduate projects at Duke. 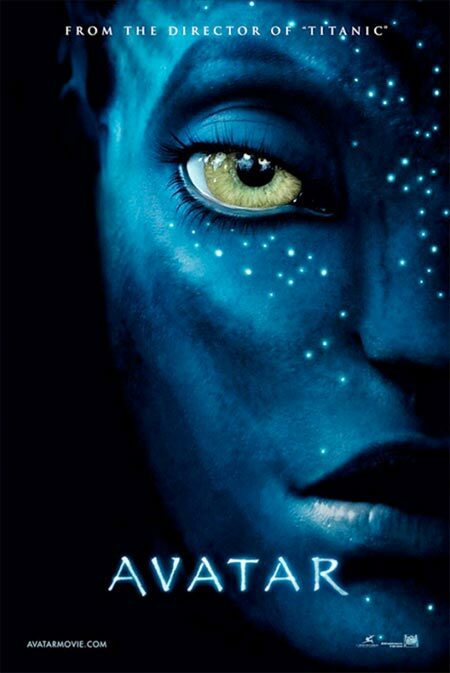 We saw Avatar last night and I thought at first I didn’t have all that much to say about it. I was prepared to shamelessly steal Vu’s thesis that this is really all about video games, but I see Kotaku already did that. In the face of column after column centered around a nominally leftist reading of the film as Dances with Wolves… in Space!, SEK has already provided a more nuanced consideration of the films racial—and racist—dimensions. Posts about the backlash of the backlash and the backlash of the backlash of the backlash have already been taken care of. I’m not all that interested in the special effects, which, perhaps due to some projection issues in our theater, didn’t seem to be quite as spellbinding as advertised. The language stuff interests me more, but seems ultimately somewhat empty. “And congratulations to Cameron for taking us from a figuratively to a literally inhuman standard of slenderness for women” seems to cover it with regards to feminist critique of the Barbie-doll-shaped Na’vi. This is to say, more or less, that whether or not the science in science fiction is plausible from the standpoint of contemporary science it adopts a rhetoric of scientific plausibility to motivate the audience’s suspension of disbelief. In Suvinian/Freedmanian terms, then, Avatar isn’t really science fiction at all, because the type of imagination involved in its reception isn’t cognition. And by the end of the film any pretense of scientific plausibility or internal logical coherence has been abandoned altogether: telepathy and transmigration of souls are real, MechWarriors pull Bowie knives from their belts, and not even gravity seems to work anymore. But this, I suggest, goes quite a bit further. Far from merely nerdy nitpicking of the sort I am famous for, the abandonment of scientific plausibility is actually the film’s central thematic conceit. The narrative turning point of the film hinges, after all, on the moment we hop generic tracks from science fiction to fantasy, and perhaps even (as Sigourney Weaver’s character suggests in dialogue) to fairy tale. Other people have framed this moment as the anthropologist characters’ “going native,” but within the film’s terms this is just another way of saying the same thing—these characters drop a scientific perspective in favor of a religious one and, in so doing, gain access to a wide portfolio of impossible superpowers. That Pandora features staggeringly improbable lifeforms and impossible physical structures isn’t, therefore, any sort of narrative failure; rather, the complete abandonment of science fictional “explanation” in favor of unabashed fantasy is part and parcel of the war of genres that structures the film. 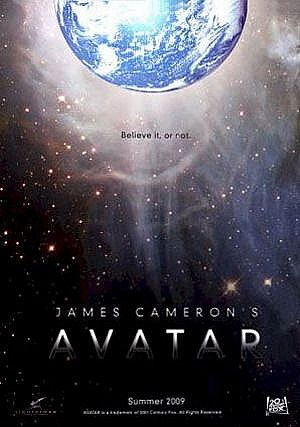 And these are exactly the two alternatives offered by the tagline in the poster above: “Avatar: Believe it, or not.” (And please note that it’s the science fictional frame that is “believable”; the fantastic/religious frame becomes dominant at the precise moment in which we can no longer “believe” what we are seeing.) That generic divide, SF vs. fantasy, is the film’s narrative and thematic fuel. So, yes, the film is fun, the spectacle is large, and the good guys manage to pull off the Battle of Endor a second time. But as a unreconstructed Asimovian and a good Suvinian I worry about the consequences of an ideology in which science and military aggression are bound up tightly together through a science fictional aesthetic of extrapolative realism—against which any form of resistance, alas, is just pure fantasy. If this is our binary—science fiction and disaster vs. fantasy and hope—outside the narrative’s terms it’s science fiction and disaster that emerges victorious. After all, as we leave the theater, recycle our 3-D glasses, and rub our eyes to adjust to the light outside the theater, it’s Colonel Quaritch’s world, not Neytiri’s, into which we must make our exit—and this, after the fact, is his extratextual triumph.